Mohammad Akbar was seriously injured after he was shot in his right cheek by an unidentified assailant, according to media reports. "I have asked for a report from our Consul General in Chicago," Swaraj tweeted. 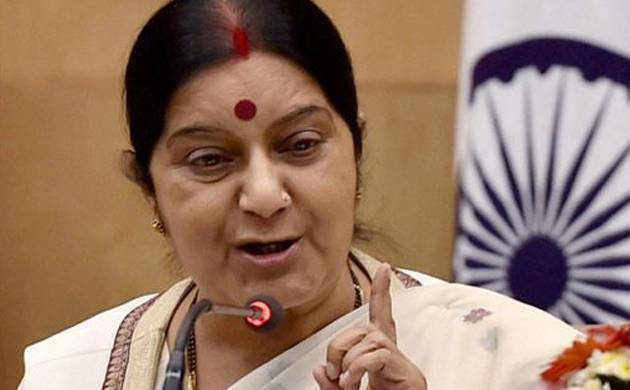 External Affairs Minister Sushma Swaraj has sought a report from India's consul general in Chicago about an attack on a 30-year old Indian national in the US city. Mohammad Akbar was seriously wounded in the shooting on December 6 in the Albany Park neighbourhood in Chicago, according to reports and information provided by his family. He was shot in the cheek and taken in serious condition to Illinois Masonic Medical Center, police in Chicago said. Akbar, who hails from Hyderabad, is studying for his postgraduate degree in computer systems networking and telecommunications at DeVry University in the US city, his family said. In another tweet, Swaraj said she had sought details from the Uttar Pradesh government on reports that a number of foreign tourists were beaten up in Mirzapur.